This website has everything you need to know about graduate school admissions! Get tips on what to do before applying for graduate school, writing tips for graduate school essays, personal statements, resume building, and interview prep skills for your graduate school interview. To get started, please click here. This website is designed to assist prospective graduate students in preparing for graduate school. Discover how to choose the right school for you, learn ways to help pay for graduate school, and learn more about the graduate school application timeline. To get started, please click here. This website are for students who are interested in obtaining their master’s and/or doctoral degree. PhDs has resources that assist with STEM (science, technology, engineering, and mathematics), business, English, and Law graduate programs, as well as tips for admissions to a graduate school. To get started, please click here. This website is useful for STEM related disciplines. 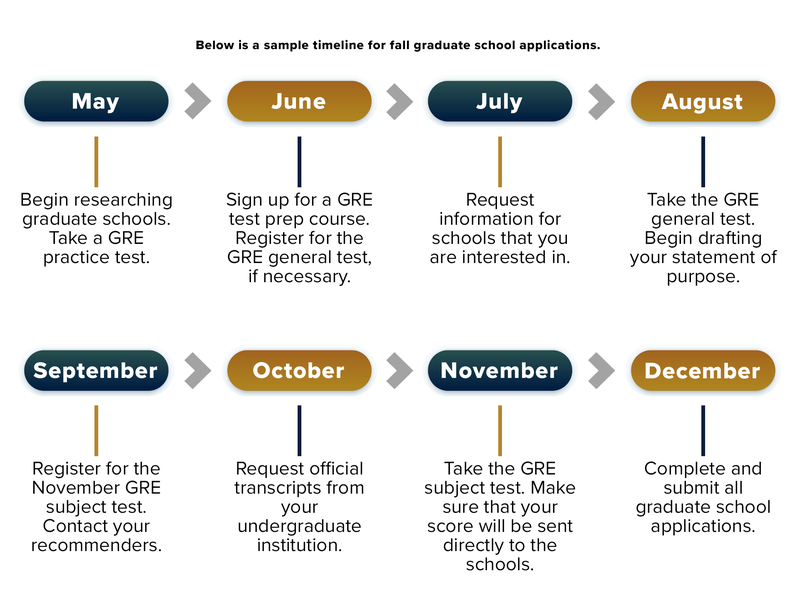 Get tips on how to put together a strong application, search for a graduate school program that is best for you, and explore webinars that will help you on your graduate school journey. To get started, please click here.